The Arts Leadership Program is designed to cultivate a new generation of artistic and administrative leaders for the American Theater with a focus on engaging people of color, women, and members of other groups that are consistently underrepresented in the field. This diverse national cohort of fellows assembled from the eight regions of the Kennedy Center American College Theater Festival will engage in topics concerning Equity, Diversity, and Inclusion as well as a weeklong curriculum designed to explore leadership in the performing arts, investigate institutional challenges in the profession, and create professional networking opportunities in the field. The Design and Technology Exhibition gives outstanding student designers the opportunity to exhibit their work at the Regional Festival, as well as the chance to attend the KCACTF National Festival or the USITT Conference. Throughout Festival, the designs will be critiqued by theatre professionals on the basis of quality, effectiveness, originality, and rendering techniques. The KCACTF focus on Devised Performance gives space, voice, recognition, and credibility to processes and productions which are created outside the text-based traditions, and which utilize the non-traditional, non-linear, multi-disciplinary and collective tools of devising. As we develop our craft new perspectives and processes of creating good performance emerge. It is necessary for the health and life of performance to acknowledge and embrace non-traditional ways of perceiving and creating. In Region 8, students can be involved in creating devised performance in two ways: bringing works created at their institutions or being involved with Guest Artists at the festival. Please review our website and the national website to see which program may be a good fit for you. If you have any questions after you have read the materials, please direct them to Jennifer Holmes, jholmes@whittier.edu. 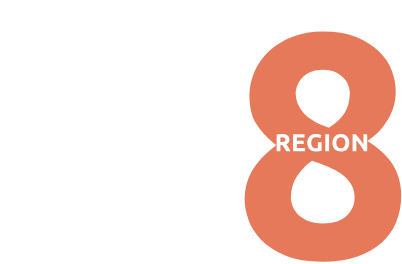 The Kennedy Center American College Theater Festival National Playwriting Program is dedicated to supporting student playwrights in the development of their original work for the stage, with dramaturgical and performance opportunities that emphasize respect of the written word and for the playwright’s contribution to the theatrical process.